Hello beauties! For those of you with extremely light and super dark skin, finding foundations and concealers to match your skin tone can be challenging. Unfortunately, not every makeup brand out there has a broad range of shades and it’s frustrating when you are at the makeup counter and everything you try either looks patchy, ashy or gray. Below I’ve compiled a list of companies who cater specifically to your skin tones. Dainty Doll by Nicola Roberts – This U.K. line focuses on makeup specifically for women with very light skin. MAC Cosmetics – MAC is known for their extensive shades in foundations and concealers and also carries white pigments that can be added to regular foundations to lighten them. Illamasqua– Illamasqua is also known for carrying an endless variety in shades in foundations and concealers and carries white pigments as well. BlackUp Paris This French line is specifically catered to women of color and offers a variety of shades. Iman Cosmetics – Another brand specifically designed for women of color, supermodel Iman is the woman behind the brand. What I especially love is that she carries BB cream in a ton of darker shades! It’s very hard to find BB creams for dark skin, as this product was first created in Asia for lighter-skinned women. Black Opal Beauty – Another brand specifically designed for women of color, what I love most about them is the amazingly low prices! You can score a foundation stick for just under $10. WHITE PIGMENT- If you have a foundation you already love, a great option is to add a pure white pigment to your product. MAC sells their sheer Face & Body Foundation in White, but it’s only sold in the Pro stores. Click HERE and scroll to the bottom for a list of the Pro chstore locations worldwide. If you don’t live near a MAC Pro, you can always call the nearest store to you and have it shipped. 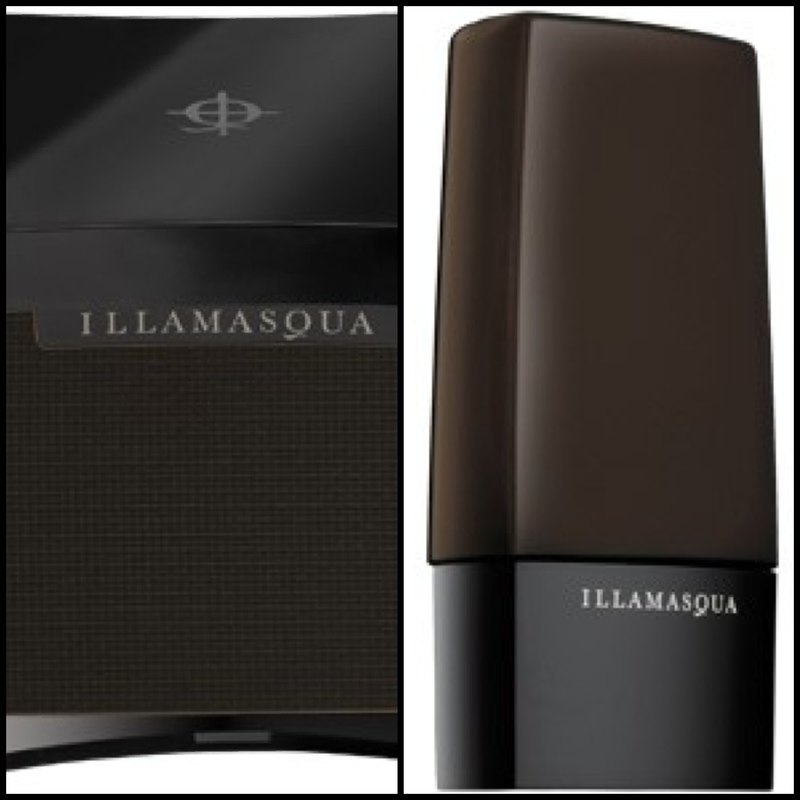 Illamasqua also carries a white foundation in form of their ever-popular Skin Base online HERE. 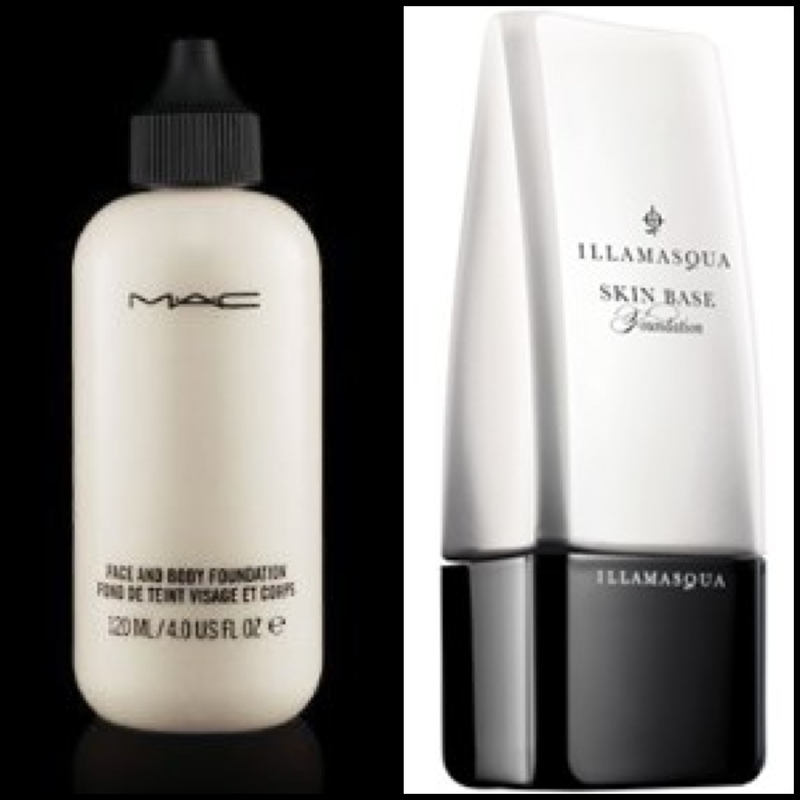 If you want sheer coverage, use MAC’s Face & Body White. If you want medium coverage, go to Illamasqua’s Skin Base in 01. These two products can really enhance your foundations and stay true to your milky complexion. BLACK PIGMENT- Similar to the pale skin/white foundation theory, your deep dark skin can benefit from mixing black pigments into your foundation. I suggest applying the foundation that matches closest to your skin all over, then contour the sides of your face with Illamasqua’s Powder Foundation in Charcoal Black. This will bring out the dimensions in your facial structure and give you an HD look. Illamasqua also carries their Rich Liquid Foundation in a black with warm brown undertones, and this can actually be mixed in with your liquid foundations to darken them. DARK ORANGE POWDERS WITH SHIMMER- Applying a shimmer powder to your cheekbones and T zone will prevent the look of flat skin. I am obsessed with using MAC’s Magically Cool Liquid Powder in Cajun on my darker-skinned clients. The burnt orange undertones and shimmer make any deep dark skin glow perfectly. If you can’t find a specific color-correcting powder, look for it in form of a blush or a bronzer. There are many uses for products, don’t get stuck in the same rut!